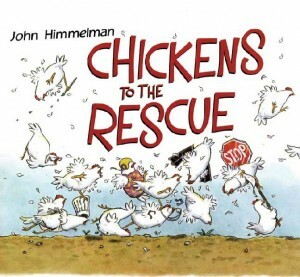 When the typical order of daily events breaks down on a farm, some atypical helpers emerge in Chickens to the Rescue. Silly events develop as the helpful poultry assist in all quarters. Watch fell down a well? Too tired to make dinner? Homework eaten by the dog? Duck absconded in a truck? This farm’s flock of chickens is ready to step in and make things happen! We cannot read this story without chuckling at the flock’s fervor and passion for helping their fellow farm dwellers. 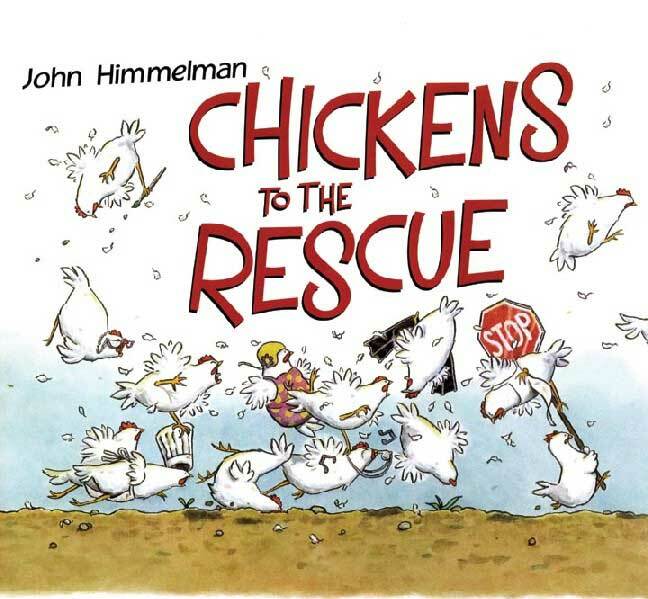 Though a cow named Milky is featured, which may not sit well with some, this tale by author/illustrator John Himmelman characterizes chickens as lovable, capable do-gooders. We all should have a flock of such good-natured, helpful assistants.